NANJING – German parts supplier Robert Bosch GmbH says it broke ground last week on a spark plug plant in the east China city of Nanjing. The 1.1 billion yuan ($172 million) plant will have the capacity to produce more than 100 million spark plugs a year after it starts operation in 2013. That will make the plant Bosch's largest spark plug production facility worldwide, according to the company. The plant will supply automakers in China. 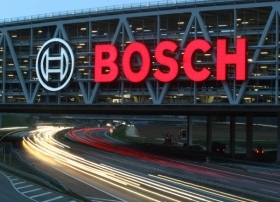 The plant's parts will also be sold overseas through Bosch's global sales and service network. The facility also will produce brake pads and diagnostic equipment for spark plugs. After the new plant starts production, Bosch's existing spark plug plant in Nanjing will be demolished.